How should you present your content into a brochure or an editorial? There are now 7 different options shown in the guidelines. Depending on your index needs, please differentiate between and do not mix editorial and brochure guidelines. To download the new guideline updated click here. 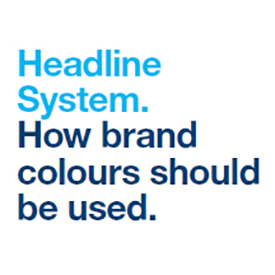 The basis for the headline colour is always brand colour 01. If there’s nothing to be highlighted, the text appears all in one colour. If the content necessitates, a single word/passage can be highlighted by a second brand colour. First choice should be brand colour 03. If brand colour 03 doesn’t work due to the background, brand colour 02 can be used. In addition to accentuation in colour, a word / passage of the headline can be set in a second type size if the contrast of type sizes is obvious. Text elements can be organised flexibly in the grid depending on text length and type size. Please ensure that text lines are short, and that the text layout keeps enough white space. Headline and teaser text are usually used in combination. Often the headline is placed at the top left of the page. 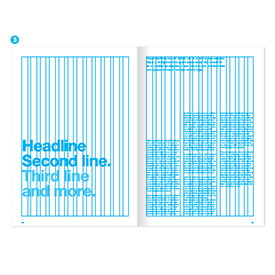 Furthermore, the headline and teaser text can be separated over a double-page spread. Depending on the overall layout, copy text can be set in: one, two or three columns. 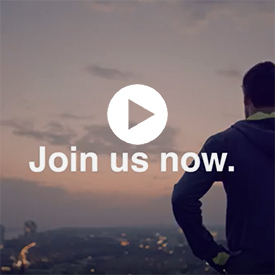 This Hager Group video was launched in the context of the Project 2020 to illustrate the Employer Value Proposition and attract talents to Hager Group. It shows a young man running in the city of future opportunities, made of smart homes and electrical cars. Discover the Lucky You video. Find all the documents related to branding on our com2web platform. If you do not have your IDs yet, we invite you to create them. Do not hesitate to contact Elisabeth Dombard or Jean-Guy Dietrich for any other question. You can find all the newsletters sent by Corporate Branding team on com2web. If you wish to unsubscribe, please contact Elisabeth Dombard.